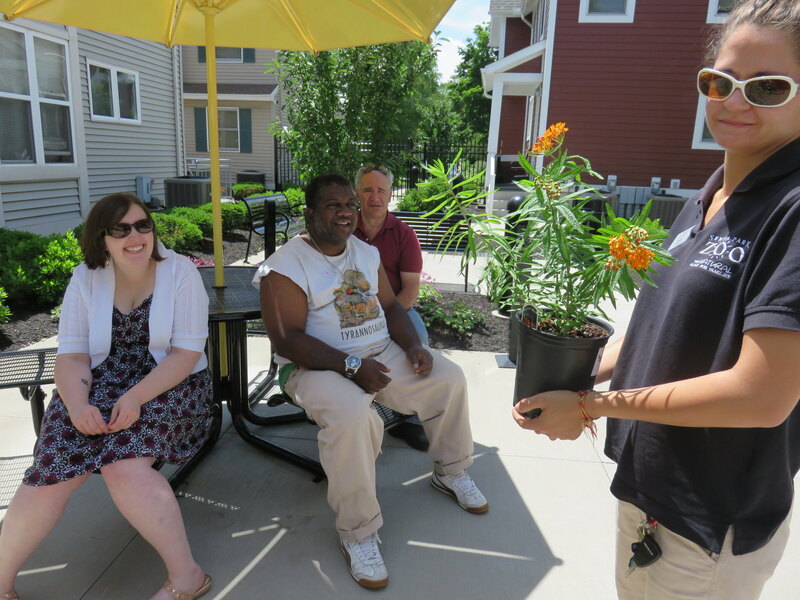 The ground was hard and the sun bore down on residents and staff at DePaul’s Neighborhood of the Arts (NOTA) Apartments as they used shovels and teamwork to dig holes in the courtyard. One by one, perennials such as Kickin’ Lilac Blue Aster, Orange Perfection Phlox, Purple Coneflower and Goldenrod were placed into the holes. 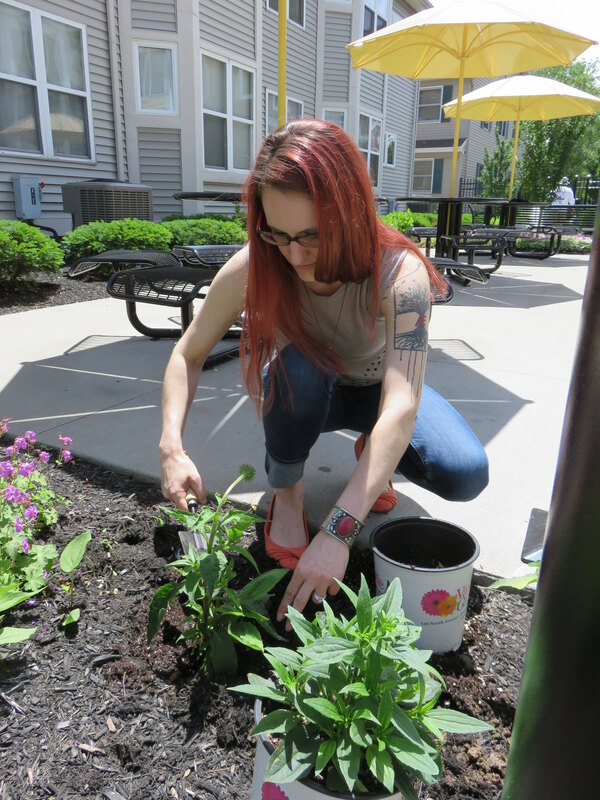 The goal wasn’t just to add some color to the landscaping, but more importantly, to create a habitat for butterflies, an insect population that is sadly on the decline. 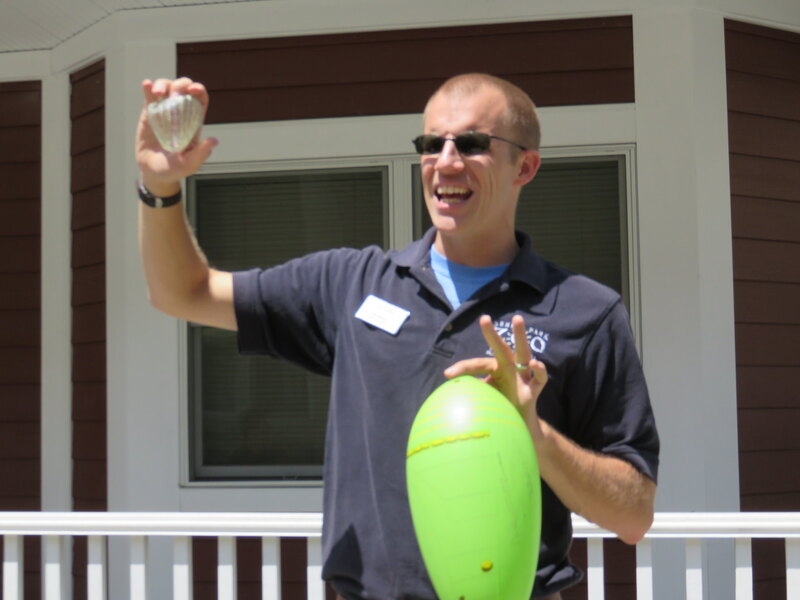 Butterflies aren’t just beautiful, as Seneca Park Zoo Society Community Outreach Coordinator Tim Fowler explained. They are also responsible for pollinating the flowers resulting in a bounty of fruits and vegetables. 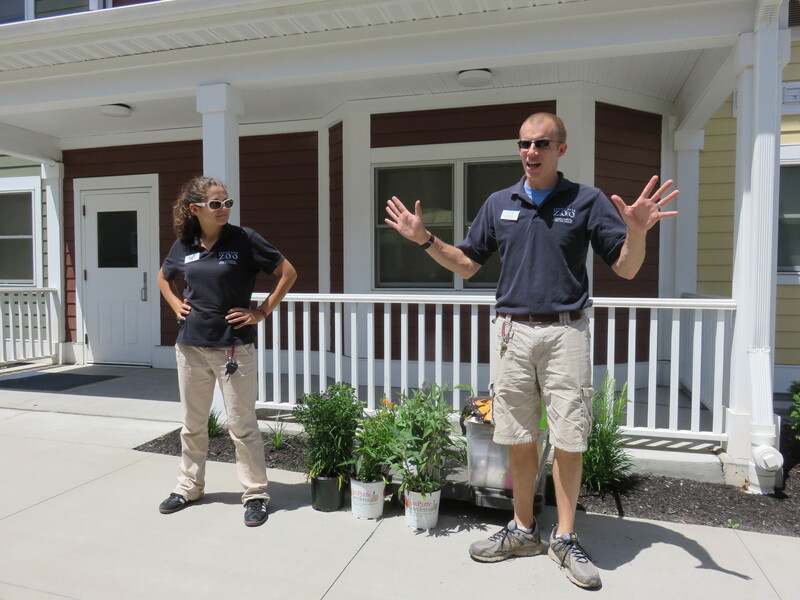 “There’s a $15 billion dollar agriculture industry riding on the backs of pollinators,” he said during a visit to NOTA with the Daisy Marquis Jones Butterfly Beltway Program. A butterfly can lay up to 200 eggs at once which it will distribute over many plants to increase their chances of survival. Each species of butterfly lays its eggs on a specific type of plant. For example, a monarch will only lay its eggs on a milkweed plant. According to information from the Butterfly Beltway Program, scientists and monarch experts say there has been a nearly 60 percent decline in milkweed due to farmers using herbicides on genetically-modified fields of soy and corn. Hence, the migratory monarch butterfly, has seen its population decrease by an estimated 90 percent in the past 20 years. “Fluctuations in butterfly populations can be a sign the environment is in danger,” said Fowler. Taking measures like preserving electricity and reducing the use of herbicides in farming can have a positive impact on butterfly populations. 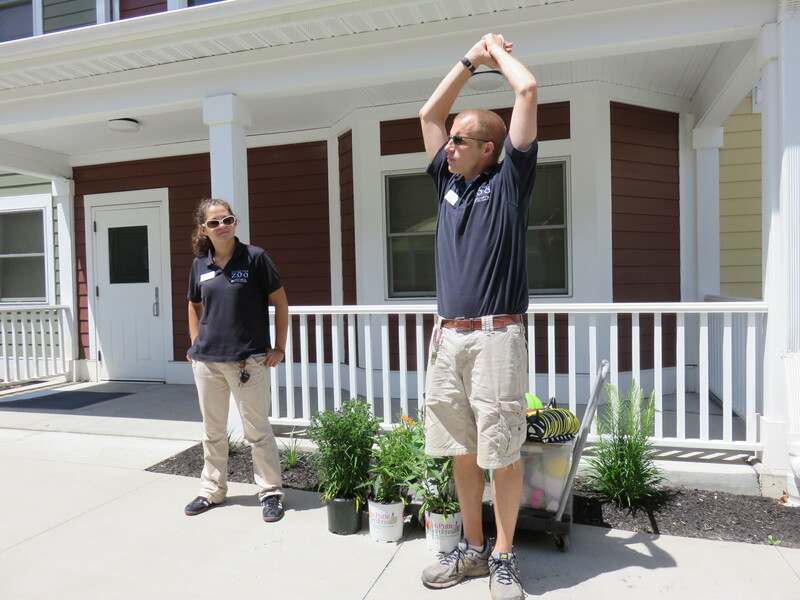 “The easiest thing we can do ourselves is increase butterfly habitats,” said Fowler, explaining how the various plants now at NOTA will provide for the butterfly’s full life cycle. Butterflies need plants for water, oxygen, food or nectar, shelter to hide from predators or to enter a chrysalis, and to use as a host plant on which to lay its eggs. “There must be one plant blossoming at least through the whole season,” said Fowler. 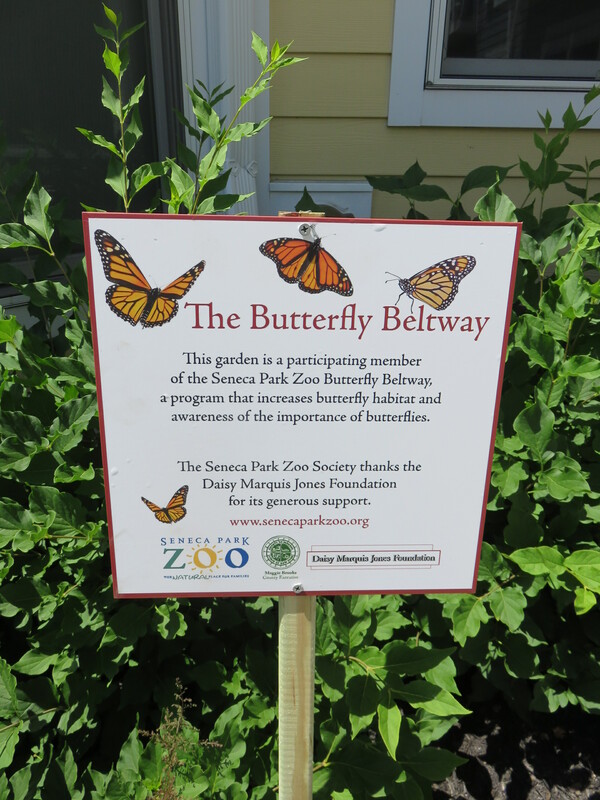 The Seneca Park Zoo Society returns to NOTA with the Daisy Marquis Jones Butterfly Beltway Program in July to release butterflies with residents and staff.